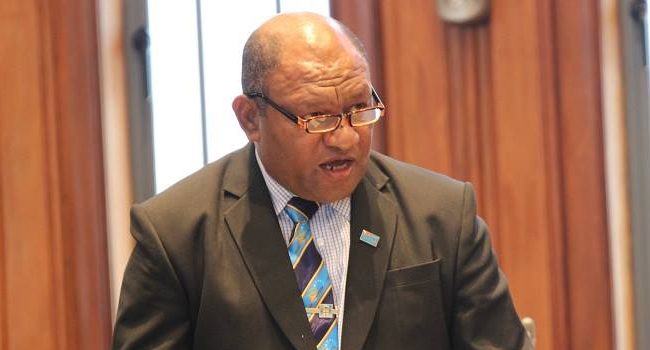 Minister for Forests, Osea Naiqamu has labelled the Opposition as having a record of burning forests while delivering his maiden speech in parliament. The Minister says the government has a proven record of growing forests adding that his Ministry will continue to break more records. Naiqamu says they will work towards growing the industry alongside Fiji’s economy. He says this will all be done in a forward thinking and sustainable way striking a balance between the forestry sectors and contribution to economic growth. Naiqamu also used the opportunity to put the record straight that the Pine industry is forecast to have a whooping record profit of over $35 million – which is unheard of from a company that made consecutive losses. The Minister adds the Pine industry has also paid debts of $57 million over the last eight years – including a European Investment Bank loan borrowed in 1986 and other debts to local banking institutions like BSP, Westpac and the FNPF. Meanwhile, Naiqamu who secured 1129 votes in the Election says he looks forward to another term of four years.